Smart street lighting assigns to public street lighting. It adapts to movement by cyclists, pedestrians, and cars. It is also referred to as adaptive street lighting. The lights get dim when no activity or action is detected, but brightens when movement is perceived. It provides enhanced visibility, environment-friendly and energy saving solutions. It also helps in saving energy, reducing maintenance and lowering of costs. Some of the associated features are adaptability & compatibility, evolving & long-lasting solution, increased safety & visual comfort and evolving & resilience. 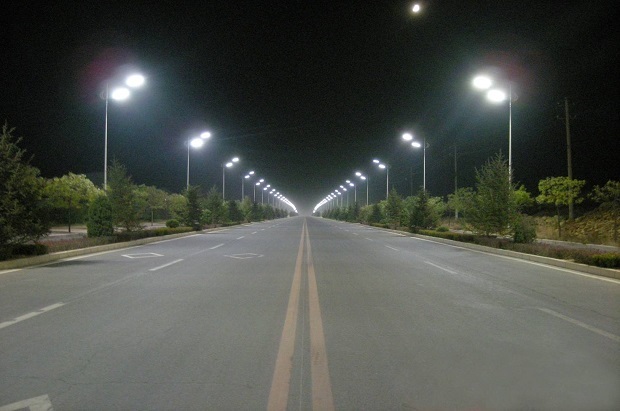 According to study, “Smart Street Lighting Market in India – Connectivity Technologies (Wi-Fi, Bluetooth, Power Line Communication (PLC), Radio Frequency), Lighting Lamps: (Incandescent Bulbs, HID Lamps, LED, Fluorescent Lamps and CFL), Network Components (Sensors, Ballasts and Lamp Controllers) – Drivers, Opportunities, Trends, and Forecasts, 2016-2022” some of the major companies currently working in the smart street lighting market in India are Philips Lighting, Havells India Ltd., OSRAM Licht AG, Microsoft Corporation, Eveready Industries India Ltd.,Tech Mahindra, SYSKA LED Lights, GE Lighting, Acuity Brands, Bajaj Electricals Ltd., Wipro Lighting, Cisco System Inc., IBM, Maven Systems Pvt. Ltd., NTL Electronics India Ltd., Intel Corporation, Kii Corp.
Based on the components, the smart street lighting market is segmented into software, hardware and services. Hardware components are further sub-segmented into sensors, LED arrays, communication modules and others. Services components are further sub segmented into professional services (training & implementation and system integration) and managed services. Based on the connectivity technologies, the market is segmented into Bluetooth, Wi-Fi, radio frequency and Power Line Communication or PLC. Based on the network components, the market is segmented into ballasts, sensors and lamp controllers. Based on the lighting lamps, the market is segmented into High Intensity Discharge Lamps (HID), Fluorescent Lamps, Light Emitting Diode (LED) Lamps, incandescent lamps and Compact Fluorescent Lamps (CFL). Based on the zones, the market is segmented into rural lighting zones and urban lighting zones. Based on the application, the market is segmented into street light management, environmental monitoring, video surveillance, road & highways, signals, bridges, urban infrastructure innovation, internet access, traffic monitoring, public messaging and smart parking. The Indian smart street lighting market is primarily driven by increased safety & security, low electricity bill, constant innovation in mobile networks, increased adoption for LED lighting lamps, growing popularity of white lights and growing market for IOT applications. However some of the restraints impacting the demand include cost-effective, cyber threat, lack of awareness, vigilant lighting regulations & standards and limited LED products availability in country. India is witnessing new opportunities for the smart street lightning this includes development of smart cities, new business parks creating employment and new business opportunities demanding Better Street lightning. During 2016-2022, it is expected that the Indian smart street lighting market to grow at a CAGR of 42.2 %. It is predicted that the market to reach at US$1,868.9 million by 2022. In the upcoming years, it is expected that the market to grow rapidly owing to the mounting number of smart cities projects.